And we support this important national effort with a budget of a mere $112.8M for Australia’s Antarctic program – not bad, eh? But while other nations are ramping up their Antarctic activities, has Australia taken its eye off the ball? The last two austral summers has seen a flurry of activity in Antarctica brought on by the various centenaries of great expeditions of the heroic age of Antarctic exploration. 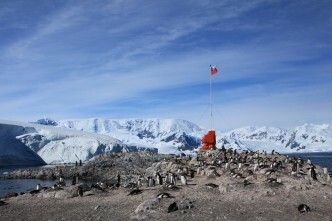 The visibility of Antarctica has been enhanced by these commemorations, and the period has also been marked by some high profile visits to the continent itself. A great deal is happening in the Antarctic: because of budget pressures brought on by the global economic crisis, many of the ‘old’ Antarctic nations are reducing their Antarctic capabilities while the ‘new’ Antarctic nations, especially in Asia, such as China, India and South Korea, are increasing their investments in capability and science. These new investments may well have implications for the balance of influence that has been the hallmark of Antarctic relations. Meanwhile, our Antarctic infrastructure is getting a bit long in the tooth and Australia has some big decisions to make in the near future, such as what to do with our aging flagship ice-breaker Aurora Australis. As a leading Antarctic nation, Australia has a great deal invested in its science and Antarctic capability, in an environment where other nations are rapidly catching up. Antarctica therefore raises important questions for Australia. That’s why we’ve commissioned a series of contributions that will look at the range of Australian objectives in Antarctica, the assumptions that underpin these goals, and the options open for us on how best we can achieve our objectives. It’s hoped that these contributions will inform those who are responsible for formulating and implementing our Antarctic policies. insuring against unpredictable developments down south. How we set and weigh both complementary and competing priorities amongst our Antarctic objectives will be a key challenge (even if it’s somewhat imprecise), as will judging how other Antarctic players react to our policy objectives and our pursuit of them. (Some of our policies might not be complementary with those of other Antarctic players). How we set our Antarctic policies in a broader international context will be important, and that should play into how much we actually spend on our polar commitments. It may even be that there’s a case for reducing our current Antarctic activity. But it’s noteworthy that last year’s Australian Defence Force Posture Review (PDF, p.iv) judged that ‘over time, increased resources for relevant agencies, not just Defence, will be necessary to strengthen Australia’s presence in Antarctica and the Southern Ocean’. In recent years we’ve not really had to worry too much about Antarctica. But that state of contentment mightn’t last much longer. 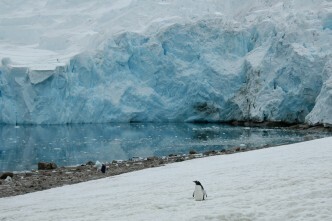 If the views of University of London’s Professor Klaus Dodds are correct, Antarctica is facing a series of crises over sovereign claims, commercial fishing, tourism, the rise of China and mineral exploitation. If these ‘Five Inconvenient Truths’ are to be believed, the treaty could break down, illegal fishing become rampant; our territorial claim disputed, the environment irreparably damaged and a ‘cold rush’ for oil, gas and other minerals begin . Ukrainian scientists in West Antarctica, for example, recently announced that they’d discovered a petroleum province. Russia submitted a paper, (‘scientific results of Russian studies in the Antarctic in 2011’) to last year’s Antarctic Treaty Consultative Meeting, which noted their interest in the continent’s mineral potential and China is apparently also interested in Antarctic resources. And as concerns over water security grow, iceberg harvesting might become viable: thirty per cent of the world’s fresh water is stored in our Antarctic territory as ice. The politics of Antarctica are starting to hot up. We need to ensure that our polar policy settings and capabilities are adequate for a new era in Antarctic affairs. Sitting on our hands, or trotting out familiar platitudes on our Antarctic policy won’t be the best way to ensure our long term national interests in the frozen continent. We need to realistically consider our Antarctic interests and the future of our engagement in Antarctic affairs. In the following weeks we’ll be posting a number of pieces on The Strategist on the challenges ahead for our Antarctic policy, and how we can best continue to contribute to remain a leading Antarctic player. Anthony Bergin is deputy director at ASPI. Image courtesy of the University of Queensland.